February will be here soon, and it’s going to be a fun month! The Lunar New Year festival is coming to the game soon, and Valentine’s Day is on the horizon, as well. With V-Day in mind, I’m busily curating fan art submissions for the February Community Showcase Live show, which will air on the official Guild Wars 2 Twitch channel on Wednesday, February 7, at noon Pacific Time. A recording will be available to view afterwards on our YouTube channel. In the spirit of the Valentine’s Day season, let’s look at some great fan art showing friendship, companionship, and love in Tyria. Krizzakrizza created this great image of Fenris and Skauld for Valentine’s Day 2016. A romantic portrait of Caithe and a player character by mirkwood-trash seems a perfect representation of the holiday. 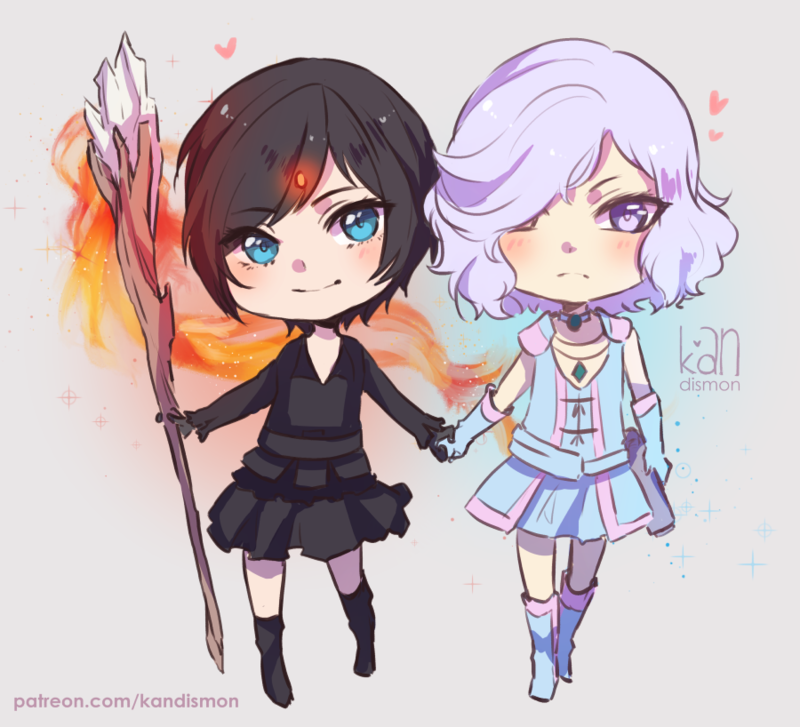 This art by kandismon of two adorable “in-game girlfriends” shows how fun it is to play with someone you care about in real life. 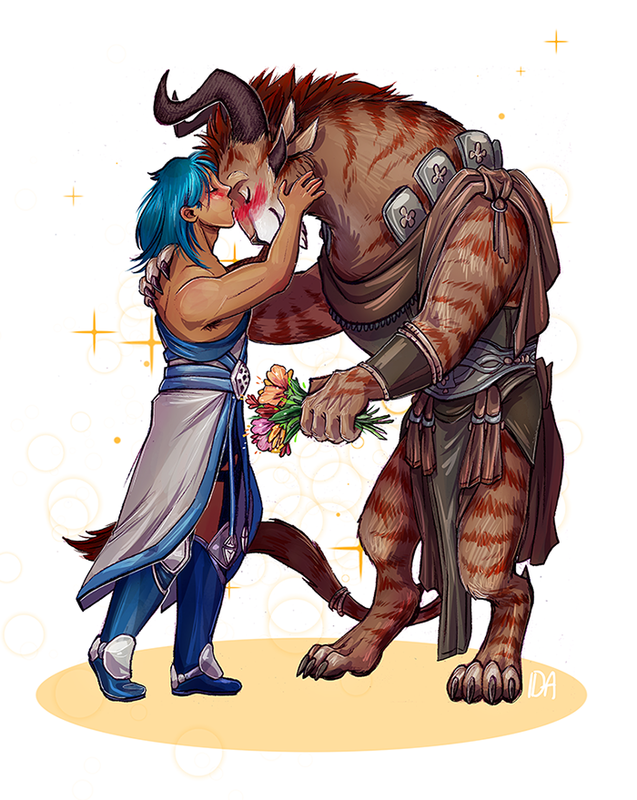 Artist Hwarra observed, “Charr can be vicious, but also loving and caring.” Purrrfect, isn’t it? I hope you enjoyed seeing these images as much as we enjoyed presenting them and that you’ll tune in for Community Showcase Live on February 7th. It’s a thrill to show off some of the amazing works of art, creativity, and community organization that players from around the world create and share with us. 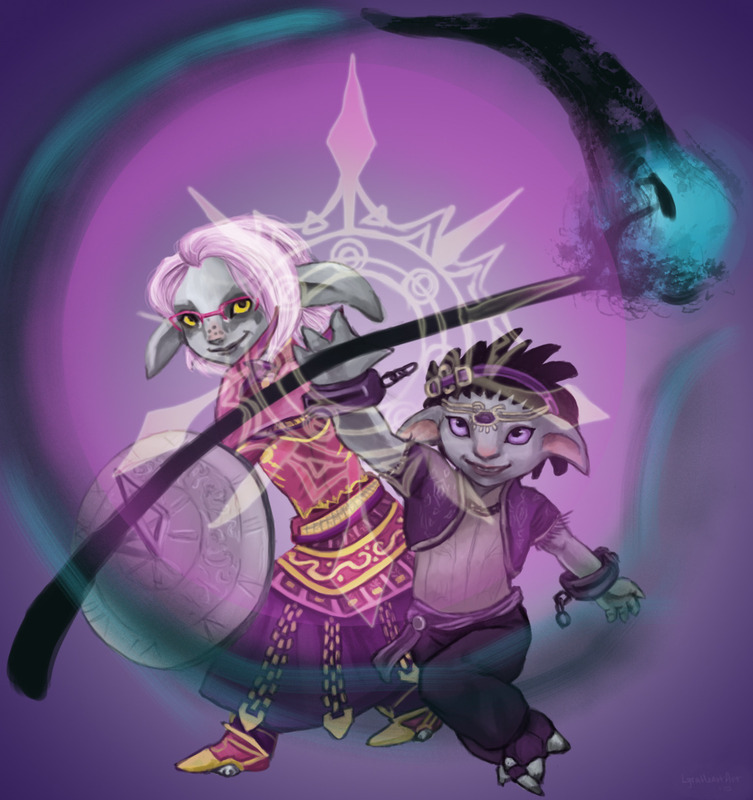 If you’re an artist, crafter, or maker of Guild Wars 2-inspired creations of any kind, please consider sharing on the official Guild Wars 2 Tumblr (easy submission guidelines here) or on our official Community Creations subforum. Previous story Rule the Skies on Your Grand Lion! December 2018 Community Showcase Live: Wintersday!